Please contact me if you are interested in this prop and hub. It has a flange for an M-14P motor. Super smooth! For my interest, did many HS-6 engines have the Russian propeller shaft with radial splines? Every Chinese HS6 engine had the spline shaft while the M-14p had the flange shaft. However the prop worked the same way and even appears to me were the same sizes. 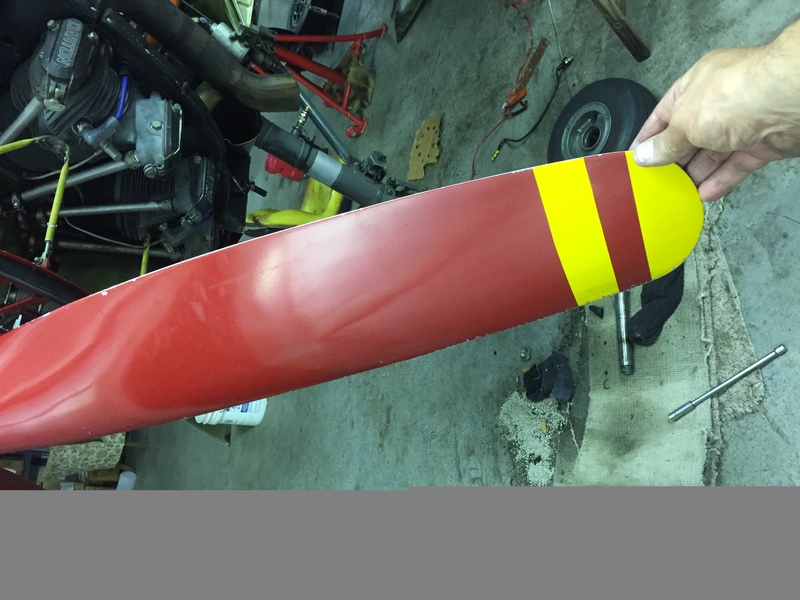 I don't know if any one has measured or tried to switch prop blades to see if they are interchangeable. I'm not sure if there would be any advantage either. There are number of parts that are interchangeable between engines. Most notable the mags. At one point I had a regular M-14 mag and a Chinese HS6 running on my M-14 engine. Merely setting the timing differently on the HS6 mag. I wonder if it would be possible to interchange something like accessory section or crank. Of course, the Chinese began by being given the Russian AI14 engine of 260 hp, but in the same way as they modified the Yak 18 A airframe very dramatically, they also made many changes to the engine. 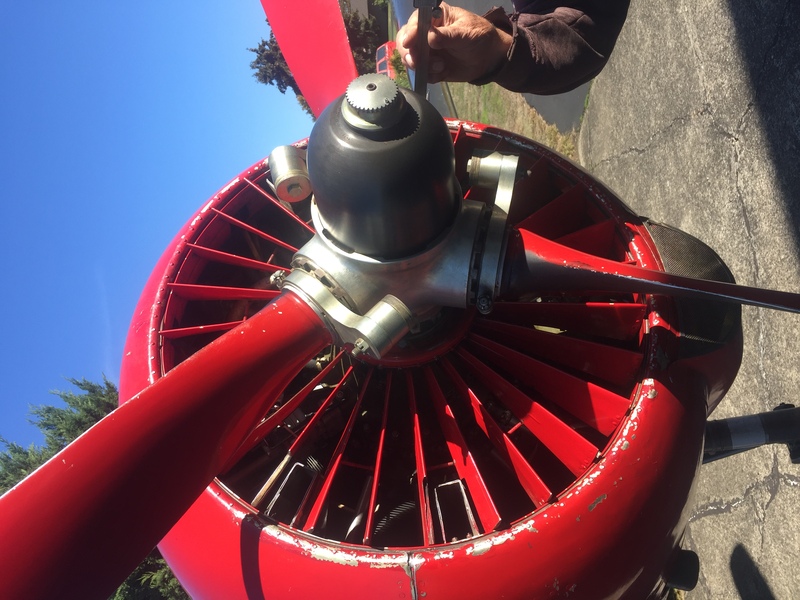 We have been intending to get into the business of overhauling the Chinese engines since we have all the necessary parts for the AI 14 engine, but having completely disassembled one HS-6 engine to investigate, there are so many parts that are different, we simply could not do a really good overhaul today! But, the magnetos are effectively identical. But to go back to the first question, did they make many engines with the Russian propeller flange and indeed did they make many corresponding propellers? From: owner-yak-list-server(at)matronics.com [mailto:owner-yak-list-server(at)matronics.com] On Behalf Of "
The Chinese did make a 365 hp engine and a 3 blade prop. I don’t think it ever went into serial production. They also had 6 M14P engines for the Yak 152 project that also never went into production. From: owner-yak-list-server(at)matronics.com (owner-yak-list-server(at)matronics.com) [mailto:owner-yak-list-server(at)matronics.com (owner-yak-list-server(at)matronics.com)] On Behalf Of "
The Chinese standard two blade (Type J9G1) prop. is BASICALLY the same design as the two blade Russian or Polish V530 type with some very significant differences. 1. The hub forging: The Chinese hub (G1) consists of two parts, the forging and a splined mounting sleeve (mated and serialized together) for mounting on a splined shaft. The Russian unit (V530) is a one piece forging with an integral flange machined to a Russian engine standard. 2. The blade bearings, removable inner race and retaining nut, c/w integral outer race, are identical and interchangeable. 3. The blade grips with integral bearing races and blade drive pin are EXTERNALLY identical. Internally they are quite different! blade material. The wooden blades of course have an integral steel base with an entirely different thread form. One could install Russian blade grips (and blades) in a Chinese hub or vice versa, if one was so inclined! 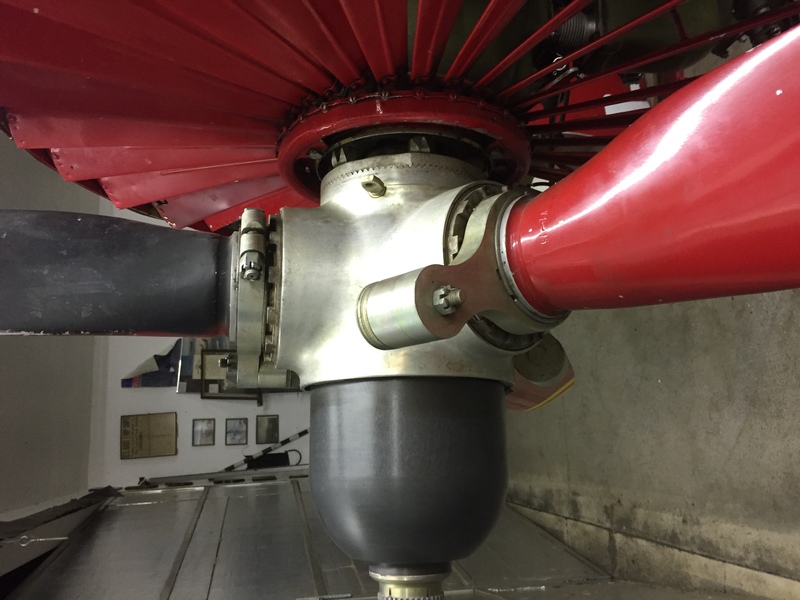 The prop has a flanged shaft and would only fit on an m-14p. When China built their 400hp Housai motor, it had a splined shaft and needed a bigger prop than the 2-blade so they designed and built the JL-2A, a three blade metal prop that fitted on a splined shaft. Rich Hess had this setup in his CJ. At that time, Joe Howse of Victoria Air Service in Canada asked the factory to design a version of that prop that would go on the more readily available m-14p. The Chinese factory came up with the JL-2B which is the version with a flanged shaft. That is what I have and what you see in this post. The blades have the coarse thread as typical on a Chinese prop BUT they have a reverse thread so are not useable on a standard Housai hub!